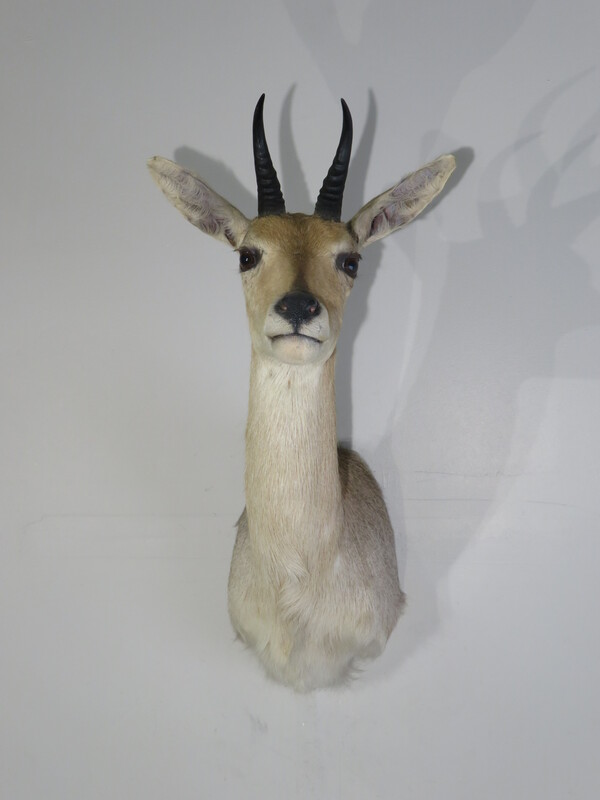 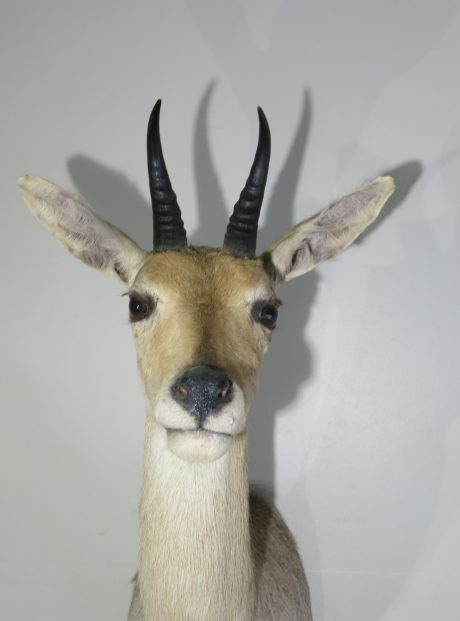 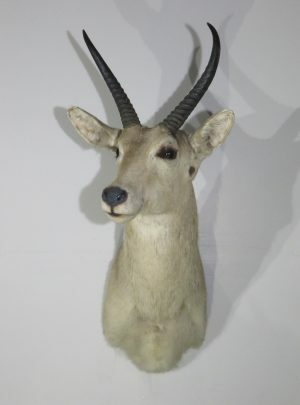 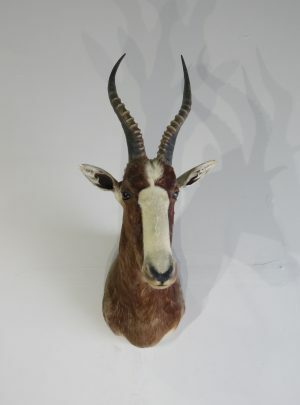 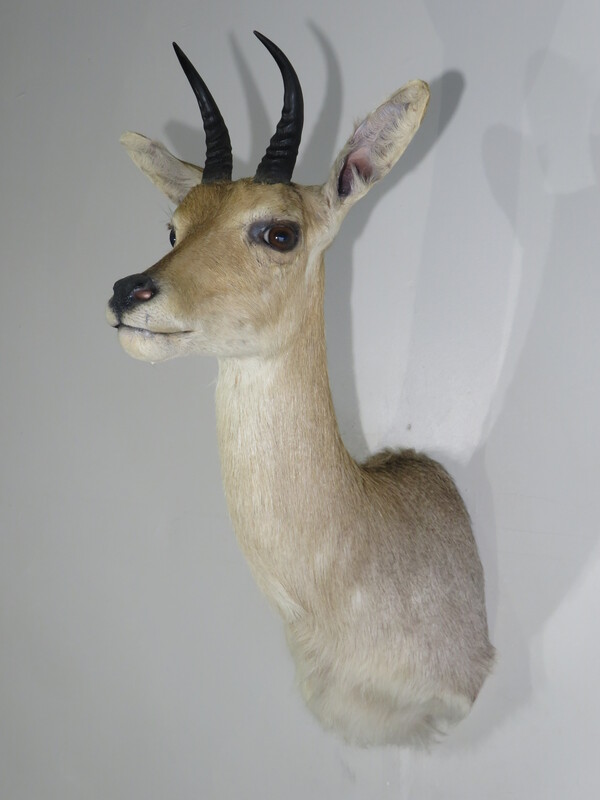 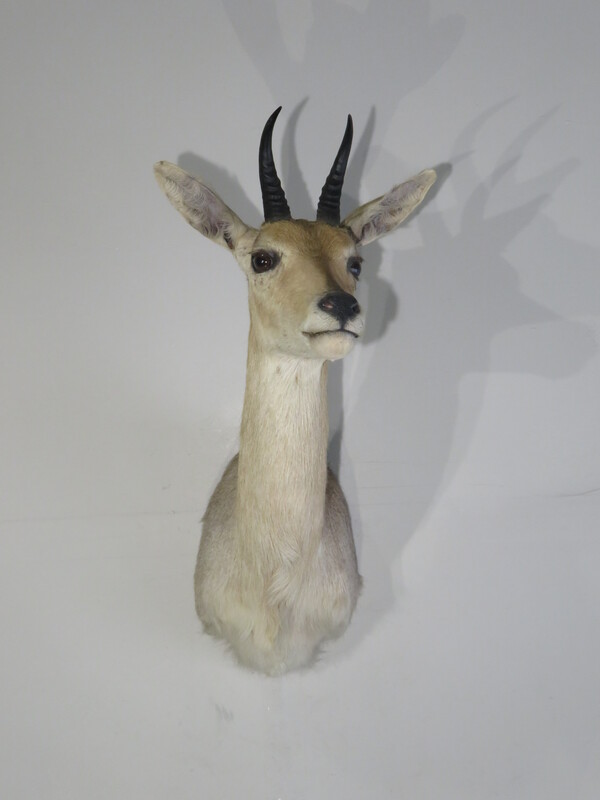 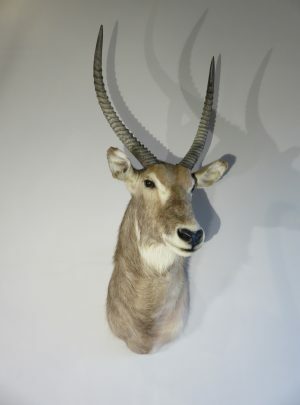 Here is a great example of a “Common” Reed Buck from the forested mountains of Africa. 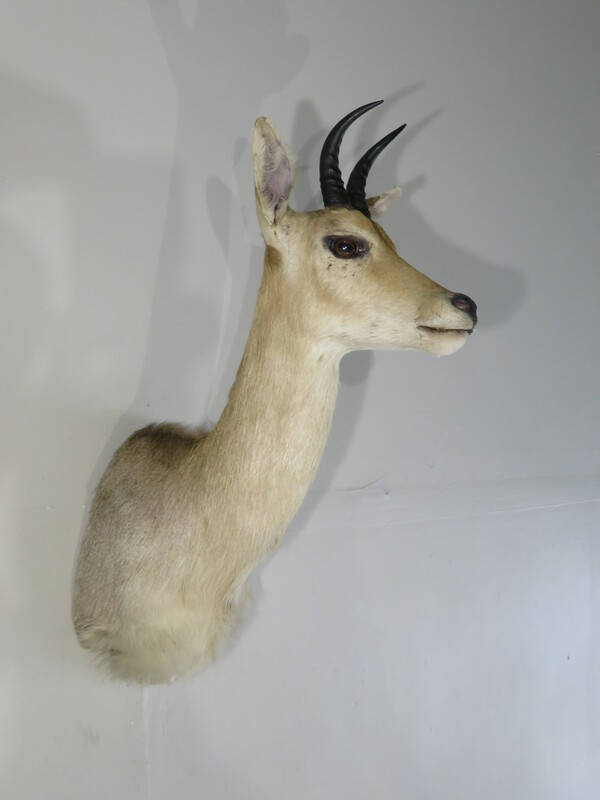 He has a nice pose with head up, facing slightly left (his left) looking into the room. 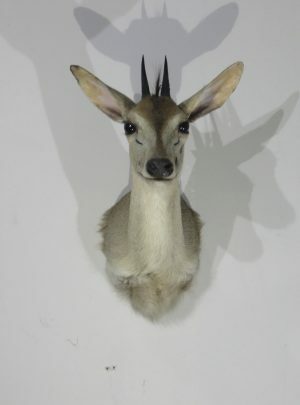 Taxidermy work is excellent and this buck looks great. 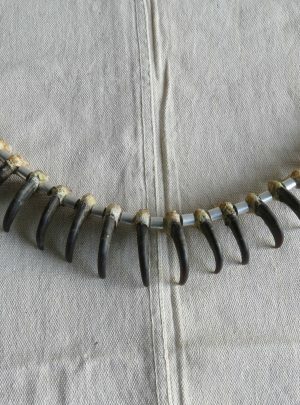 Hair coloring and thickness are average and he has good coloring. Horns are average sized for a buck in this species. 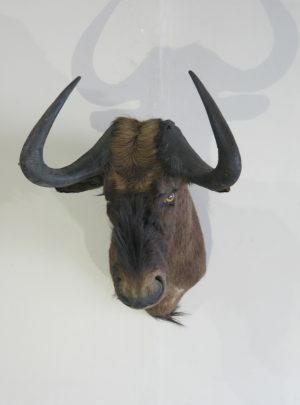 Overall mount dimensions are 17″ deep x 25″ high x 13″ wide. This taxidermy shoulder mount hangs on a single, well-secured screw. 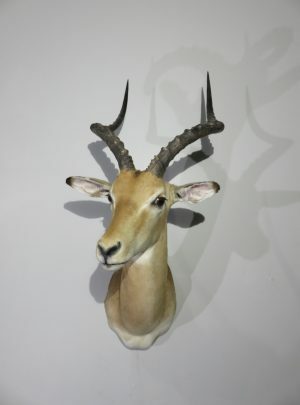 Horns measure 5 6/8″ and 5 7/8″ with bases measuring 3 4/8″ each. 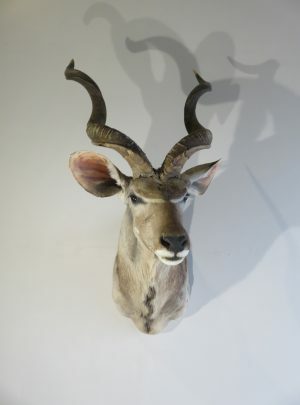 He would make a great addition to the African collection for the home, lodge or business.